MALAYSIANS are no strangers to censorship. So many things get censored in this country, local or foreign: books, films, television shows, theatre performances. The items censored are sometimes perplexing. For example, current reruns of the 1990s family sitcom The Nanny on the Hallmark Channel are missing out on the slightly risqué jokes and overtly Jewish references. 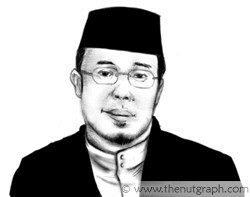 And so, when former Perlis mufti Dr Mohd Asri Zainul Abidin was arrested by Selangor Islamic Affairs Department (Jais) officers, it really should not have come as a surprise. But it was, maybe because it was one of those rare times that the Islamic authorities moved to censor someone who is also an authority in Islam in this country. And it was all the more controversial because Jais did not even appear to target Asri's ideas or works — Jais was trying to censor Asri the person. Although Jais suffered an enormous credibility deficit among the public for targeting Asri, it must still be stressed that Jais was initially convinced it had the power and legitimacy to censor Asri. Indeed, Section 14 of Selangor's Syariah Criminal Offences Enactment criminalises "preaching without a permit". And by Asri's own admission in his earlier Utusan Malaysia column, the Selangor authorities did forbid him from speaking here. The news on Asri has been overtaken by other headlines. There might be a by-election after all in Kota Siputeh in Kedah — the 10th since the March 2008 general election. Kelantan football fans turned violent at the Malaysia Cup final between Kelantan and Negeri Sembilan. There have been different sagas with the different political parties — the MCA and Parti Keadilan Rakyat immediately spring to mind. For now, Asri has dropped out of the news cycle. It's deceptive to think of what happened to Asri in terms of cycles. There is nothing cyclical about the nature of censorship in Malaysia, especially on matters relating to Islam. Issues such as Asri's arrest only appear to occur in cycles, and then the collective attention shifts to other news breaks. But, taking Asri's case as an example, censorship in Malaysia is never resolved so easily. In fact, it appears to have a gravitational pull of its own — new books, new individuals, new films, new works, all continue to attach themselves to the nucleus of what is now Planet Censorship. Remember Shirin Ebadi? In 2003, she became the first Muslim woman to receive the Nobel Peace Prize, and only the fifth Muslim to receive the Nobel Prize in any field. In 2008, Ebadi was also banned from speaking in Malaysia. She was supposed to be one of the speakers invited to Malaysia by the organisers of the Bridges – Dialogues Towards Culture of Peace forum. The other speakers, including civil rights veteran Rev Jesse Jackson and Timor-Leste President Prof Jose-Ramos Horta, who was the 1996 Nobel Peace laureate, did not have any problems entering Malaysia. It was only when the ban on Ebadi made international headlines that fingers started pointing. But nobody really wanted to accept responsibility for Malaysia, supposedly a "moderate" Muslim country, forbidding a Muslim Nobel Laureate from stepping on its shores. Was it the Foreign Ministry that directed the ban? 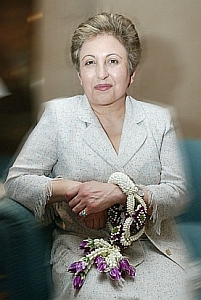 Was it the Iranian government that pressured Malaysia to bar Ebadi? Or was it the local organisers themselves who were not so hot for Ebadi to begin with? It is hard to say, given that Ebadi fell out of the news cycle after then Foreign Minister Datuk Seri Dr Rais Yatim formally retracted the ban. There are elements at all levels of government and bureaucracy that can get away with censoring not just works and ideas, but individuals as well. It matters little if these works, ideas or individuals are Malaysian or not. When such censorship happens, pin-pointing who is responsible can turn into an awfully big and frustrating adventure. If enough of an uproar is made and catches the attention of major international news networks and other governments — preferably major trading partners of Malaysia — a member of government will usually try to reverse the damage. In other words, the government can ban something or someone, but if it is embarrassed enough, it will try to unban it or him or her. Such reversal has largely been in rhetoric and not in deeds which are transparent and accountable. The conclusion of this learning excursion might seem harsh, but take the Ebadi example again. Sure, Rais retracted the ban on her coming to Malaysia. Was she ever reissued an invitation to come? Did anyone publicly apologise to her? Did anyone actually step forward to inform us what the exact chain of events was that led to her being banned in the first place? There are so many other cases of censorship that can be highlighted: the banning and subsequent unbanning of religious scholar Karen Armstrong's works; the banning of local filmmaker Amir Muhammad's The Last Communist; and the banning of an entire religious community, the Ahmadiyah. Even former Prime Minister Tun Dr Mahathir Mohamad claimed at one point that he was being censored by the press. There are other examples that readers could probably supplement in the comments section of this page without much difficulty. All these incidents, and more, eventually dropped out of the public consciousness, but it does not mean that they were all resolved. In fact, they remain clearly unresolved. They continue to add up and contribute to a climate of increasing censorship. Is it any wonder then that more and more bureaucrats and government officials feel empowered to censor our thoughts and beliefs? And certainly, there are groups of citizens who not only tolerate but encourage such censorship. It is important to ask, though: What eventually happens to civilisations that are bred on so much censorship and so little open debate?